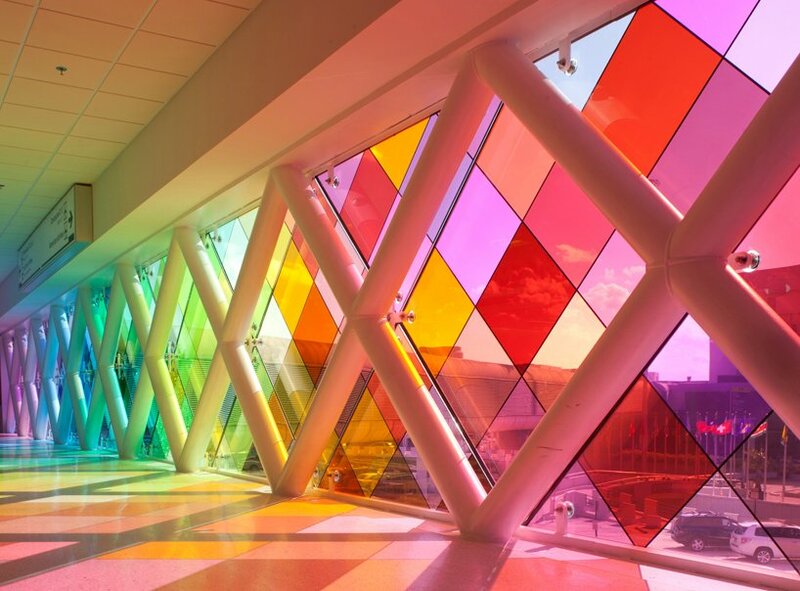 The work of american sound architect Christopher Janney, 'Harmonic Convergence' is an interactive sound and light installation, constructed within the pedestrian walkway of the Miami International Airport in Florida. To be officially inaugurated to coincide with Art Basel Miami Beach and Design Miami 2011 this December, the piece replaces Janney's 1997 commission at the airport, 'Harmonic Runway'. 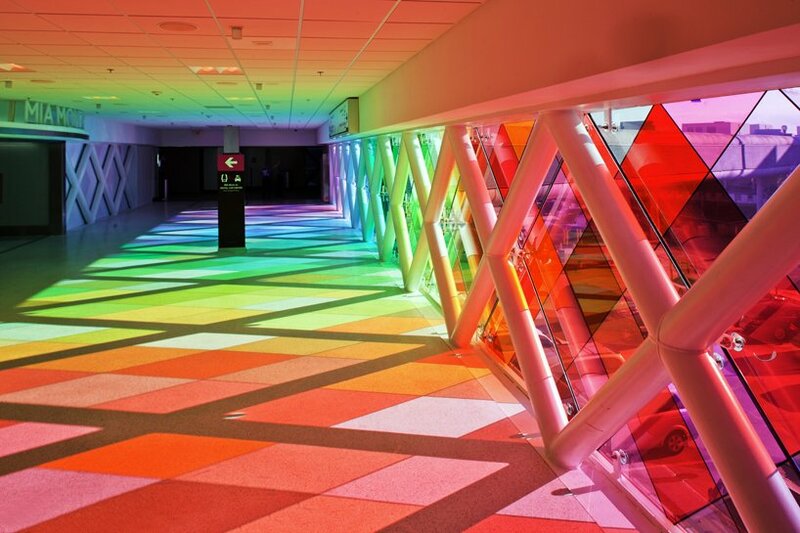 The work combines light, colour, and sound as it leads passengers from a rental car terminal to the airport proper. Speakers installed at regular intervals along the walkway create a continuously changing 'sonic portrait' of South Florida as they play the sounds of tropical birds, thunderstorms, and other environments native to the region. Video sensors at either end of the passageway track visitor movement, causing changes in the density and composition of the sound piece relative to the number of passengers in the space.